Science, by any means necessary: So you think you know how to study? What is the most effective way to learn? Both students and teachers agonize over this question. The general consensus is that active, concept-based "elaborative learning" techniques are the best way to truly absorb and understand a new topic. In contrast, simply recalling the information is assumed to be a passive process, demonstrating how much is remembered but not contributing to learning at all. However, recent findings published in the journal Science reveal surprising new information that contradicts this assumption. Jeffrey Karpicke and Janell Blunt at Purdue University had undergraduate students study science material using one of two main techniques and then compared how well they learned. The first technique was concept mapping, an engaging and widely-used elaborative learning method. The other technique, called retrieval practice, simply required students to freely recall as much of the material as they could, followed by another reading & recall session. Most teachers would assume that retrieval practice is a poor way to study. And in fact, the students themselves assumed so when asked how well they thought they would remember what they'd learned. However, when tested one week later, the opposite was true. Students who studied using retrieval actually performed better than all other groups. The free-recall students outperformed the concept-mapping students even when the test involved CREATING a concept map -- an important finding because it demonstrates that the students were actually building conceptual knowledge structures rather than simply regurgitating facts. Of course these results are not definitive. Although the authors tried a variety of testing styles, it's possible that elaborative study would prove more beneficial in other circumstances - for example, long-term retention beyond one week, or the ability to incorporate new material. The study also doesn't account for students' familiarity with the techniques. Undergraduates at Purdue have most likely already figured out a study method that works best for them. Personally, I didn't even know what a concept map was until I read this paper. 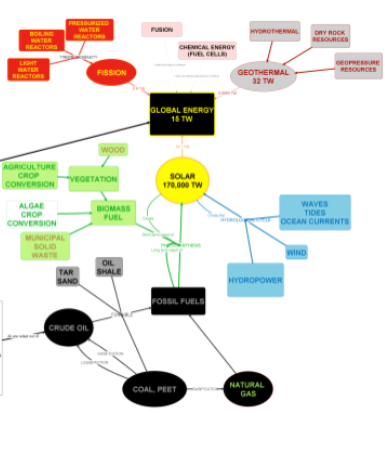 And in fact, before the study, the authors had to teach students how to make concept maps. Thus the relative weakness of concept mapping might be in part due to inexperience with this way of learning. It's possible that comparing the students' own preferred study technique to retrieval practice would produce a different result. But of courses that wouldn't make for a well-controlled scientific study. Nevertheless, Karpicke & Blunt's results highlight the importance of retrieval practice as an overlooked, valuable learning tool. An optimal strategy for learning most likely incorporates a variety of techniques, including retrieval and elaborative methods. In any case, it behooves us to challenge our assumptions about how we learn and the most effective ways to study and teach. Original article: Karpicke JD & Blunt JR (2011). Retrieval practice produces more learning than elaborative studying with concept mapping. Science 331: 772-775.